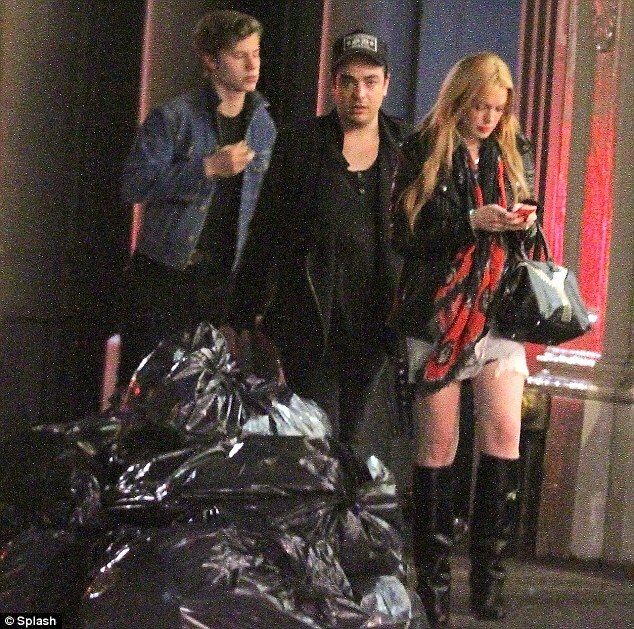 A night on the town has sparked rumors of another new romance for a post-rehab Lindsay Lohan. Three weeks after she reportedly called it quits with former reality star Matt Nordgren, the starlet, 27, has started seeing a 19-year-old model named Liam Dean, says the New York Post (peep him out here). The two were photographed leaving a Manhattan restaurant last Friday with Lohan's sometime assistant, Gavin Doyle, and were also spied at hot spot 1Oak (our hope that a recovering LiLo would develop a taste for herbal tea and quiet nights at home with the complete works of Jane Austen has, alas, not come to fruition). "Lindsay has only been seeing Liam for a few weeks," tattles an insider, "but they looked pretty into each other at 1Oak." Her rep, however, denies they're an item, scoffing, "This is completely false."